There are plenty of educational items for me to blog about, but they can wait. The next week is about family, friends, giving, and finding peace. There are those who celebrate Christmas (like my family), and those who do not. Merry Christmas to those who do, and happy holidays to those who do not. Either way, we are all one giant school community, and I hope that we are all able to enjoy some peace during this special time of the year. I will be at work during break, but will not post again until after we return to school on January 2, 2014. Please accept my best wishes during the holiday season. Believe it or not there will be teaching and learning taking place as we inch closer to winter break. I can remember how I felt as a kid around this time of the year, and I can also remember how I felt as a teacher. Sometimes those feelings didn’t match! I always enjoy my time in the buildings and this week will be no different as I am sure to hear many stories of excitement from our youngest students. Transportation: While we did not have exceptionally poor weather last week (Saturday night into Sunday was a completely different story by the way), it is a good time to remind ourselves just how good our bus drivers are. Our mechanics make sure that each bus is completely ready to go. Then our drivers do an amazing job of navigating the roads safely in undesirable conditions, while we arrive to work thankful that we didn’t drive our own cars into a ditch! Thank you for all of your work and for keeping our students safe on the way to school. 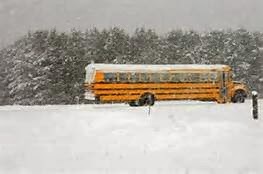 Also, if your child drives to school and you do not want them driving because the weather exceeds their driving experience, give an early call to our bus garage at 315-487-4576 and let them know that your child needs a ride. They will make it happen! I think we would all agree that your child getting to school safely is more important than them being upset with you because they have to ride the bus for a day or two. Evaluations/Student Governments: I have spent the last two weeks sitting down "formally" with building principals to discuss their evaluations. I have been very pleased with the progress that has been made with our struggling learners and also really happy with our elementary and middle schools as they have formed student government groups (the high school has had student government groups for decades). 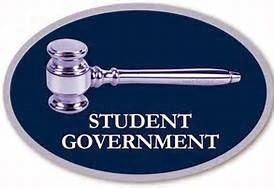 Student government promotes ownership, critical thinking skills, debate, social skills, and organizational skills. We will take a closer look to see if there is a relationship between a student involved in student government and their academic success. I am proud of the strides that teachers and principals have made in our District and you should feel comfortable that your children are in very capable and caring hands. Stay tuned. West Genny Has an App for That: If you have a smart phone or tablet, hopefully you have been able to download our free app. We are meeting with the president of Parentlink this week to discuss our successes as well as areas where we think the app could be even more beneficial. As a parent I have learned all that the app has to offer, and I think that it makes managing things related to my own child much more efficient. I was able to walk into a meeting the other day and use the app to put money on his lunch account. The entire transaction from start to finish took about 45 seconds. I can deal with that! 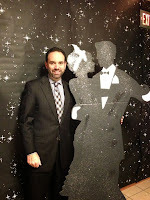 Dancing the Night Away: My wife and I had a wonderful time at the winter semi-formal on Saturday night. 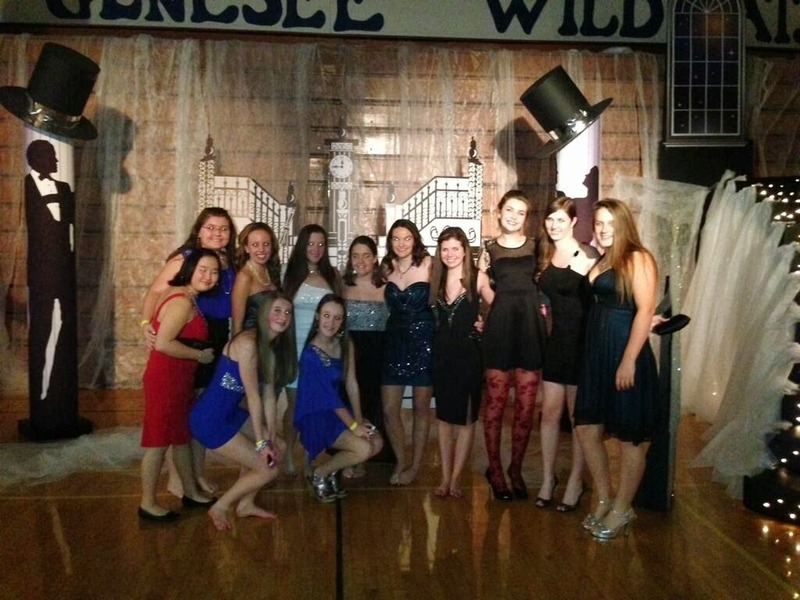 The theme was The Great Gatsby and the high school hallways, cafeteria, and gym were transformed into something right out of the book and movie. Tremendous kudos to our faculty advisors, Mrs. Deemer and Mrs. Hogan, as well as Mrs. Brown (not my Mrs. Brown!) who helped to organize all of our parent volunteers. Our parent volunteers also deserve plenty of thanks as they helped with ties, dresses, and making sure that everything went well. For the freshmen this is really their first dressy dance, so it is always fun to watch them walk into the gym for the first time and see that they are awesome pieces of an 850 student puzzle! The gym was dancing and hopping and I even saw a few students do the worm. I am actually starting to like some of the new music that is out there, so that was cool too. I cannot wait for the junior prom! Learning from Seniors: Earlier in the week I had my annual opportunity to meet with our senior citizens at the Camillus Senior Center. I would like to thank Mrs. Bacon for making this opportunity possible. The seniors are so welcoming, and I enjoy the chance to speak to many who helped forge our community into what it is today. 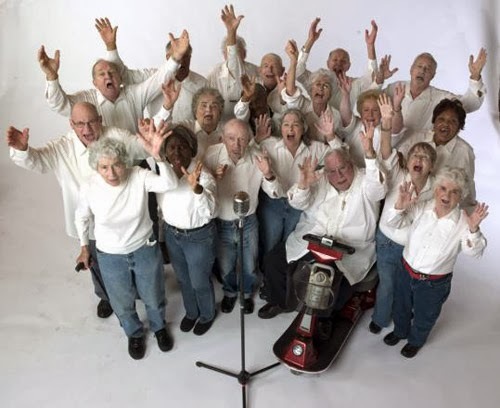 I asked for a show of hands to see how many had gone to a West Genesee school, sent a child, grandchild, or great grandchild through the district and most of the crowd (I would say around 75 people) raised their hands proudly. I went through a lot of topics over the course of an hour. Budgets, community issues, school matters, national concerns impacting education and talk of the past occupied our time. Of all of the topics covered, there was one that drew the most passion from the audience. The topic was how children are communicating differently and if that is a good thing or not. 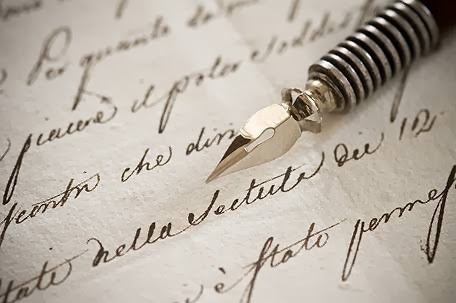 From cursive writing, to block print, typing, texting, Facebook, Twitter and anything else social media many of our seniors felt that this evolution is ruining the art of communication, of resolving conflict, of forging true long lasting friendships, of memories. It was a powerful piece of our time together. They understood why things are changing and that we will probably never go backwards, but I learned that we should find other ways to preserve the human emotion in communication or we are going to be in trouble decades from now. Thank you for the learning experience! 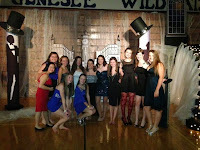 Busy Week in Fine Arts and Athletics: We had a very successful weekend with our fine arts and athletics. 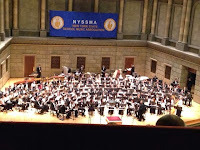 We had many musicians play in All-State Concerts in Rochester this weekend (click here for a list of students). 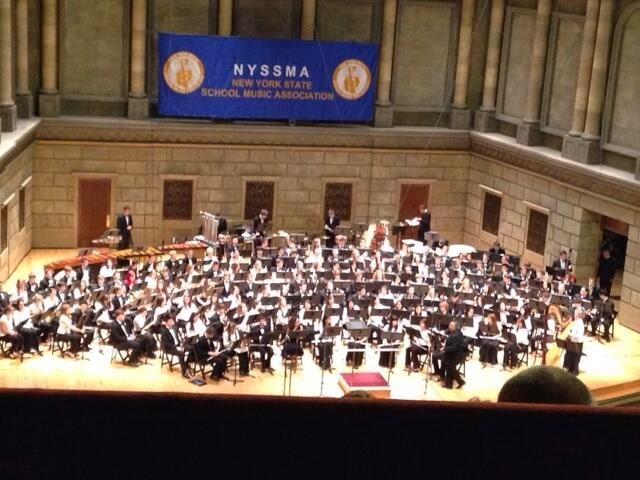 I followed along on Twitter while the students performed, and they certainly represented us well. On the athletic side all of our team sports won over the weekend. Considering nearly all of them competed, that is pretty cool! Check our website for the most current schedules. I hope that each of you had a peaceful and restful Thanksgiving weekend. I was able to see family and friends and actually took a few days off from e-mail, twitter, and Facebook. It was delightful! The time between now and winter break should really be called "The Blur". One blink and December is over. Shopping, working, concerts, games, meetings, slippery roads, and stress all form the top layer of "The Blur". Below the top layer is where all of the goodness lies. I believe being thankful to have a job, fortunate enough to be able to purchase things for others, enjoying prized possessions, performing in a concert or in a game without a care in the world, and enjoying the snow that we are going to get, all make up that bottom layer. I hope you are able to enjoy all layers of "The Blur" throughout the holiday season! 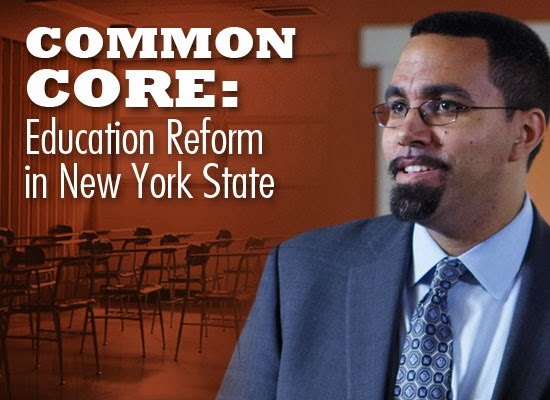 I still do not have many details, but the Commissioner of Education, Dr. John King will be holding a parent forum at Fayetteville-Manlius High School on Tuesday, December 3. My understanding is that doors open at 2:30 p.m. and the forum is being conducted from 3:00 p.m. - 5:00 p.m. If I hear any additional details, I will pass them along. For those who are just hearing about the Common Core Learning Standards, standardized testing, and data collection, we are trying to put a quick fact sheet together that will indicate what each item is and what supporters and detractors are saying, so you can stay in the loop. The goal is to make you read for about ten seconds per item and then have enough information to decide if you would like to hear or read more. We will provide additional resources after that if people are interested. Take deep breaths, relax, and enjoy "The Blur" that starts…..RIGHT NOW!